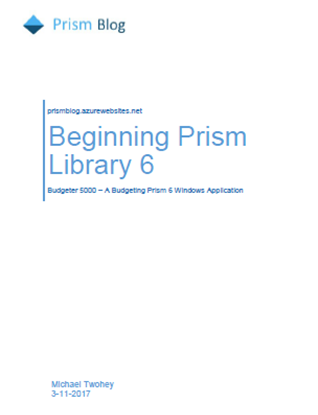 The Prism framework is a collection of libraries created for Windows development. It helps to more easily design and build client business applications. The framework uses modern design patterns enabling great separation of concerns and loose coupling. This site has been designed to be a learning resource for the Prism framework. Learn the basics of the multi-platform library, Prism 6. This digital e-book will introduce the basic concepts. It also provides source code for a sample project.